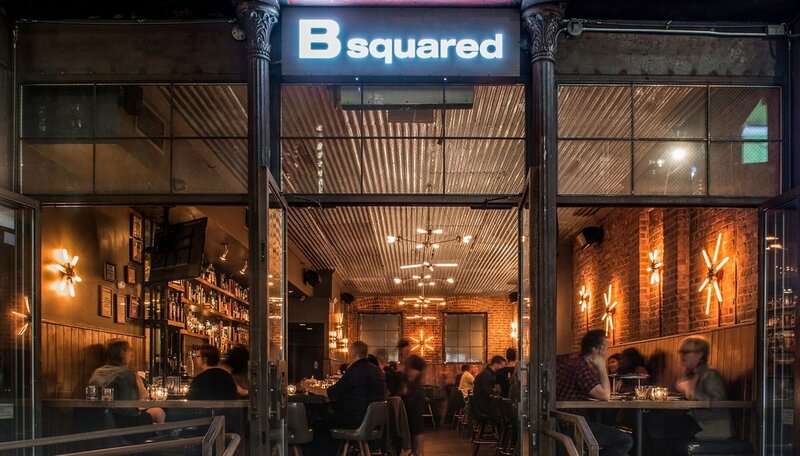 Located just four blocks south on 47th & Ninth, sister restaurant B-Squared is able to accommodate large parties and offers a full bar and expanded menu! Acclaimed chef, Jason Neroni, builds upon B-Side’s seasonally inspired menu of artisanal pizzas and sharable small plates, adding delectable cheese and charcuterie platters and homemade pastas cooked to al dente perfection. His imaginative combinations of locally sourced ingredients are wood-fired to perfection in our authentic Italian Pavesi oven—effortlessly fusing New York innovation with Italian flair achieving “crave-able” results. B Squared proudly boasts a carefully curated selection of fine wine and American craft beer, by the bottle or on tap, to complement our seasonal menu items. Or enjoy a Cucumber Mule, HK Mezcal, or B-Smashed specialty cocktail! Bring your talent to the Chow Down Group of Hell’s Kitchen, NYC. Please email position seeking with resume to: maren@chowdowninc.com.